The Maps app has been getting a lot of updates lately, but folks using the app on Android Auto have been neglected a bit. 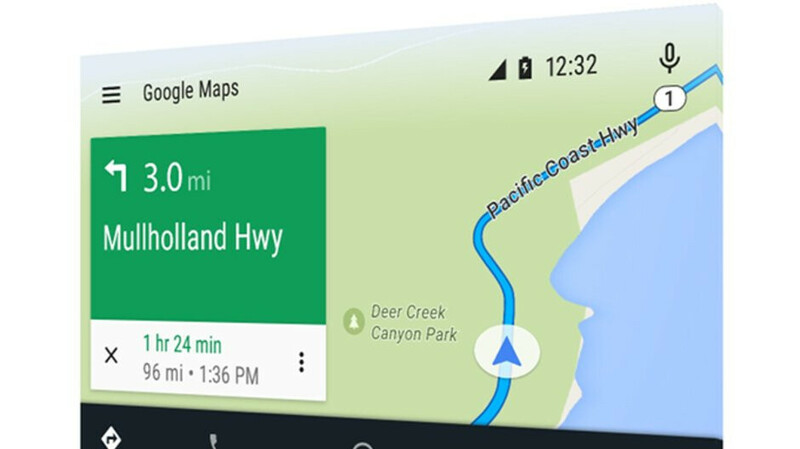 Well, not anymore since Google Maps is now receiving a consistent update on Android Auto, which brings a new look. Apparently, this is a server-side update, so you'll have to wait for Google to make it available for you rather than looking for it yourself. Most of the changes included in the update are purely aesthetic, but they give the app a cleaner look and feel. The most obvious change is the removal of the hamburger menu, which was replaced with a standard Settings button positioned at the bottom of the screen. Also, the search bar has been relocated from the right to the left side, along with all the Maps icons. The removal of the hamburger menu means that you won't be able to do anything else while you're in navigation mode, such as getting access to contacts or recent destinations. While you will still be able to search along your route, for anything else you'll have to use voice commands. Before you start to navigate, you will now have to tap on the search bar and look for your destination. Once you do that, the search bar will expand to three separate tabs: Recent, Categories, and Personal. The latter is the most useful since it contains anything that you've previously saved in the Maps app, including Favorites, Starred, and other places you want to visit. The only way to get all these new changes is to have the newest versions of Maps and Android Auto or wait for them to arrive in the former's case. They added terrain view as well!